The Lash Cure Mister cures adhesive in 30 seconds, eliminating additional exposure to adhesive fumes, and leading to better retention. Force-curing lash adhesives changes the liquid adhesive into an inert, solid state, eliminating off-gassing, and securing adhesive bonds before your clients walk out the door. After using the Lash Cure Mister, lash extensions can get wet right away—that means no more waiting 24 hours to swim, workout, or shower! Force-curing greatly reduces sensitivities and allergic reactions by immediately eliminating adhesive fumes. 1. Slide off the back cover, and fill the small tank with the water bottle included. 2. Securely plug the opening with rubber closure, and replace back cover. 3. Gently sway the mister to clear any bubbles. Before the client has opened their eyes at the end of an appointment, slide the front body of the Lash Cure Mister down to initiate mist, and hold 20-30cm from client’s face. Move mister back and forth between client’s eyes in a figure 8 or W pattern. Mister will automatically shut off after 30 seconds. To soothe irritated eyes, have your client open their eyes after the initial curing, and mist open eyes for an additional 30 seconds. After use - Do not leave water in the mister overnight. Empty reserve and let the tank air dry overnight. Fill each day with fresh distilled water. The machine isn't producing mist - If the machine is not producing mist (or is too light of a mist), the battery may be low and needs charging. If water bead build up, or dust on the mist opening, clean with Q-tip. Cleaning the Mister - The water tank should be cleaned with a soak (accel TB, IPA, etc) routinely. My clients love it! I always mist after finishing my set, it cures the glue and increases the retention. Easy to use and it looks elegant on my tray! We totally Agree! Thanks for sharing! I’m so in love with my mister. It works perfectly, it was easy to use and it is beautiful. I feel it’s a must have. I loveeeeeee the mister so much! It’s SO smooth on the lashes and my clients love the fresh feeling. 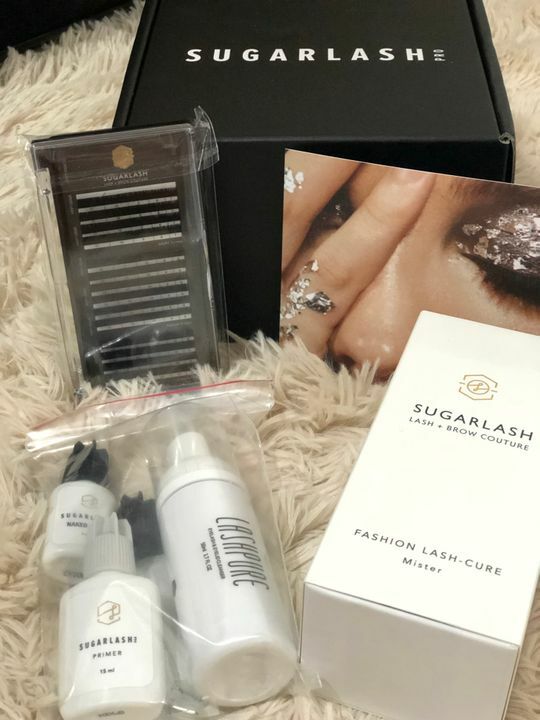 My entire experience was fantastic with sugarlash! Can’t wait to buy again. Thank you, Emily, for your love and support! It’s easy to use and effective in helping extensions to last longer. Love that it has its own 30 second timer! SO happy your loving our lash Mister! Thank you for the positive feedback!